Today’s news review looks at both the coverage of a report on the building and repairing of schools, and into concerns about funding for London schools. On Wednesday, 22 February, the National Audit Office (NAO) published a report on school capital funding. 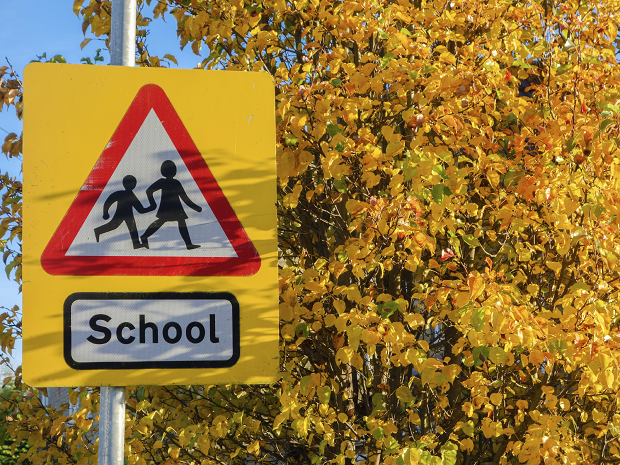 The report highlighted that the government has succeeded in providing school places despite a rising population but raised concerns that new free schools are being built while older schools wait for repairs. This report attracted widespread coverage in the media. The Times, Daily Telegraph, Guardian, Mirror, Sun, the i, TES and a range of regional papers ran articles about it, while BBC Breakfast and the Today programme featured it on broadcast. All the coverage focussed on the NAO’s claim that the government is building free schools instead of repairing older schools. What is not given due attention is the fact that the government is making an investment of £23 billion until 2021 into the school estate. The £4.4 billion Priority School Building Programme (PSBP) is transforming run-down buildings to state-of-the-art facilities, targeting funding at those school buildings in the worst condition. Under the first phase of the programme, building work is being undertaken at 260 schools. Of these, 177 schools have already opened in their new and refurbished buildings. This includes 98 secondary schools in 57 local authorities and all are on existing sites. Additionally, most media outlets failed to acknowledge that three quarters of mainstream free schools up to September 2016 are located in areas where there was a need for more school places. Nearly half of all open free schools are in the 30 per cent most deprived areas in the country. We have made more school places available in the best schools and the free schools programme is a vital part of that, creating places where they are needed. The vast majority of inspected free schools are rated good or outstanding by Ofsted, giving parents in areas where existing schools are not good enough the choice of a quality school place. The Government is making a huge investment in the school estate of £23 billion up to 2021, to create a further 600,000 new school places, deliver 500 new free schools, and rebuild and refurbish buildings at over 500 schools. But we want to go further. That’s why we have set out plans to create more good school places, in more parts of the country, by scrapping the ban on new grammar schools, as well as harnessing the expertise and resources of our universities, and our independent and faith schools. On Wednesday, 22 February, the Financial Times ran a piece on school funding in London, based on a release from the London Councils. The piece states that London has previously been able to improve its schools thanks to how funding is weighted. The piece argues that when the National Funding Formula is introduced, this work could be undone. In the article, changes to funding for each London authority is reported in detail. There is little mention, however, of the fact that London will remain the highest funded part of the country. Schools in inner London will be allocated 30 per cent more funding per pupil than the national average. There have been significant changes in relative levels of deprivation between the capital and the rest of the country over the last decade. For example, the proportion of London pupils eligible for Free School Meals has dropped from 27 per cent to 18 per cent between 2005 and 2015. The current system has ignored these changes; bringing it up to date means parts of London will see reductions in their current funding levels but no school will see a reduction in funding overall of more than 3 per cent per pupil. The government has protected the core schools budget in real terms since 2010, with school funding at its highest level on record at more than £40bn in 2016-17. But the system for distributing that funding across the country is unfair, opaque and outdated. We are going to end the historic post code lottery in school funding and under the proposed national schools funding formula, more than half of England’s schools will receive a cash boost. London will remain the highest funded part of the country under our proposals, with inner London schools being allocated 30 percent more funding per pupil than the national average.‎ Significant protections have also been built into the formula so that no school will face a reduction of more than more than 1.5% per pupil per year or 3% per pupil overall. But we recognise that schools are facing cost pressures, which is why we will continue to provide support to help them use their funding in cost effective ways, including improving the way they buy goods and services, so‎ they get the best possible value. We are consulting on the factors that will make up the formula and we know that it is important that we get this right so that every pound of the investment we make in education has the greatest impact. The consultation will run until 22 March 2017, and we are keen to hear from as many schools, governors, local authorities and parents as possible. Share your views on our National Funding Formula consultation here. It runs until March 2017.